As the number of marketing channels and touchpoints continues to grow, so does the volume of digital assets companies require to fuel those channels and create exceptional brand experiences. A single marketing department could build hundreds of thousands of content assets over time, and that’s without considering visual media, such as images and video, which are also a must for modern marketing teams to engage prospects across channels. Marketing today is driven largely by visual assets, and creating a consistent brand experience across channels is an ever-prominent focus for marketing teams. Now, here's the kicker: marketing departments are trying not to lose control of these very assets, yet as the volume of digital assets expands, it becomes increasingly difficult to maintain control. 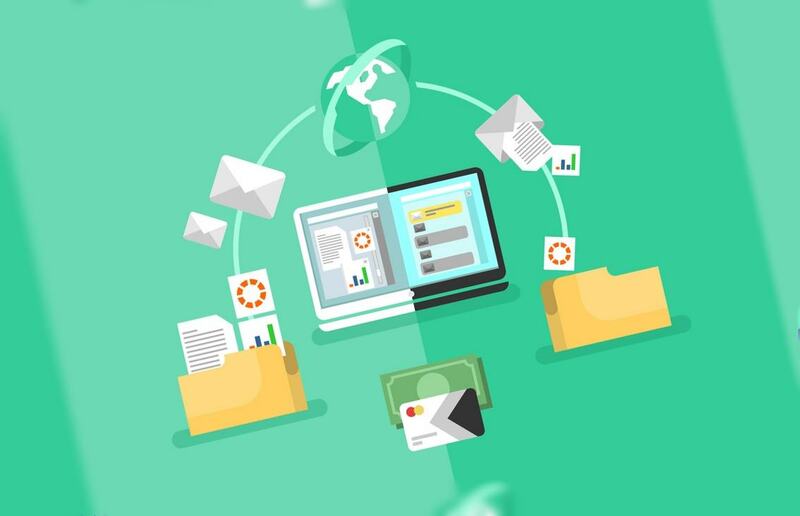 The best way to manage hundreds of thousands of digital files (effectively, that is) is through some sort of digital asset management (DAM) solution. Fortunately, there are many ready-made solutions that serve this very purpose, meaning marketers don’t have to reinvent the wheel and establish a sophisticated setup from the ground up. As a content management tool, DAM is unparalleled in terms of capabilities around organization, security, maintenance, and advanced search capabilities. One of the key factors in selecting the right DAM vendor is understanding, metadata, taxonomy, and other important terms and technologies so that you can evaluate features and functionality to choose the solution that best meets your needs. If you’re considering a digital asset management solution, here’s a look at the terms and technologies you need to know – and why they matter. When referring to a DAM system, taxonomy is used to classify, identify, and organize digital assets. Essentially, taxonomy is used to describe a digital asset in such a way that it’s easy for other users to quickly locate and identify the right asset, for the right purpose, at the right time. Taxonomy takes from the Greek "taxis," which means arrangement and "nomos," which means law. It conveys relationships. In essence, it uses a pre-determined system to classify assets. Moreover, this pre-determined system is utilized as a framework for the analysis and access of information. Through taxonomy, you get a hierarchical tree structure that ensures files are easy to find – even from multiple locations. The taxonomy used with a DAM solution has to make sense for every user who accesses your system. And, this ties into metadata as well. The structure of the folders on your hard drive is a good example of a taxonomy in action. Some DAM solutions offer a built-in taxonomy with customization options, meaning you can configure it to meet your specific needs. MerlinOne, for instance, offers industry-based configuration options for both taxonomy and metadata. Furthermore, it offers AI capabilities automatically append metadata to your images to improve productivity and save you time. When configuring a taxonomy, you might want to consider a controlled vocabulary. This limits the terms that can be applied to an asset to a pre-determined set of terms, rather than allowing users to apply any terminology they prefer. A controlled vocabulary is a wise choice for companies managing large volumes of assets – and it’s smart for growing companies who are currently working with limited asset volumes to implement controlled vocabulary now to avoid pain points during future growth. The premise behind controlled vocabulary is simply that any two users may assign slightly different terminology to the same asset. When this occurs repeatedly, you end up with a large volume of assets that aren’t labeled and categorized consistently, making it increasingly challenging to locate the proper assets when you need them. Controlled vocabulary presents users with a pre-determined list of terms they can choose from to assign proper labels and categorization to each asset, eliminating the possibility for natural language variances. Using a controlled vocabulary for indexing results in searches that are efficient and precise, saving a substantial amount of time users would otherwise spend searching for all synonyms for a target term. Now that you have a better understanding of taxonomy, let's move on to metadata. It goes without saying that the terms taxonomy and metadata are used on a daily basis with regards to a DAM system. In the simplest terms, metadata could be the title of a digital asset. Adding a description and even the date of production are additional forms of metadata. You can also import metadata from various sources. Files may already have embedded metadata such as the geolocation or even the photographer. These wide-ranging attributes help to map your files so that they’re easier to organize and find. Let's just break it down: metadata is data. It’s information that goes beyond the name of the asset. It is a description of sorts, but the biggest benefit of metadata is that it aids findability by enabling files to be searched based on more than merely the title – because it’s unlikely that marketers remember the specific title of every content asset in the company’s arsenal, and sometimes you need to find relevant assets on the fly. In other words, hours of available time to spend digging through your library to locate a specific asset is a luxury you don’t often have. Let's say you're watching a football game, and each player comes on the screen. Notice you'll find information such as their college, position on the team, nickname, and perhaps an interesting fact displayed on the side or the bottom of the screen. It’s additional information that tells you more about the asset (in this case, a player) beyond their name. Structural – format, length, etc. Descriptive – title, keywords, author, etc. Administrative – how an asset was created, who created it, when changes were made, who made changes, etc. All that data makes the asset more searchable since you have several bits of information that can be used in a search query. AssetBank is one example of a DAM solution that organizes your digital assets through the use of metadata. Most vendors offer metadata capabilities, while some offer more robust metadata functionality than others, so if you’re on the search for the best DAM solution, finding out how metadata is utilized and structured within the system is a must. AssetBank, for instance, also gives you the capability to describe your data more accurately using fields such as headings, countries, ratings, and more. The process of adding assets to your database and assigning appropriate metadata to each asset is known as cataloguing. There may be scenarios where you need different metadata fields for each file type – documents, audio files, images, and videos – to ensure organization is more structured for advanced search queries. This is what you might call adaptive metadata, which essentially means that assets of different types have different metadata attributes. It would make sense to label a video or audio asset with a duration variable, for instance, which would provide a simple means for filtering search results to assets of an appropriate length for the channel. On the other hand, a duration attribute on a static photo is unnecessary. Snapchat videos have a max of 10 seconds, for example, although you can now record multiple videos consecutively for up to one full minute of video, while longer videos are more appropriate for channels like YouTube and Facebook. So, if you’re looking for the right video to post to the company’s Facebook page, for instance, the ability to quickly filter out shorter videos created for Snapchat has the potential to save minutes to hours of your valuable time (and those minutes add up!). With adaptive metadata, you can set metadata attributes based on the asset type, based on the premise that assets have multiple characteristics and some of those characteristics are hierarchical in nature and/or are related to other taxonomies for a broader class that the asset belongs to. Some DAM solutions allow assets to inherit characteristics from those classes and categories automatically, allowing for better overall classification and a simpler means for assigning comprehensive metadata to each asset. Picturepark is one DAM vendor that does this well, allowing the metadata schemas for individual assets to evolve over time, rather than forcing users to rely on a single, consistent metadata schema across all assets. Tying it all together, taxonomy will eventually transform into more detailed data – which is metadata. Assigning specific information to a digital asset such as a video or audio file would be a sub-level of the overall taxonomy. By leveraging these capabilities, assets become much simpler to find. Taxonomy gives assets a generalization where metadata provides unique identifiers. Take a look at DAM vendor Filecamp. This DAM system offers filtered search, keyword search, cataloging, and categorization – all of which are aspects of metadata and taxonomy. Moreover, you can write and edit metadata for various types of files without having to leave Filecamp. Again, DAM vendors differ slightly in how metadata and taxonomy are handled, as well as the level of automation and customization offered, so these are two important considerations when evaluating DAM solutions. Combining these operators allows users to drill down to specific assets by easily defining the characteristics or search terms that should be present while also specifying which terms to exclude. A search for social media video NOT Facebook, for instance, would refine the results to videos tagged with social media with the exception of any results also tagged with Facebook. “Quotation marks” – Quotation marks facilitates searching for phrases when the entire phrase should be considered a single keyword, and thus present in the metadata or the content itself in entirety. A search for content marketing without the quotation marks could be interpreted as content and marketing being two distinct keywords, while putting “content marketing” in quotation marks tells the database that content marketing is intended as a single term. (Brackets) – Brackets assign priority to one portion of a search string over others. For example, a string of three words using the OR operator can be confusing for a database. If you’re searching for assets related to content marketing or social media marketing that discuss video marketing, the search query content marketing OR social media marketing AND video marketing could cause confusion, potentially generating results about content marketing alone along with results about social media marketing and video marketing together. That’s not what you’re after, so you want to use (content marketing OR social media marketing) AND video marketing to convey to the database that you want assets tagged video marketing that are also tagged with either content marketing or social media. While it may seem complex, the truth is that most people have already used Boolean Search when using an ordinary web search engine, such as Google or Bing. Some databases handle Boolean Search strings differently than others, however, so you’ll want to find out how a DAM solution handles queries specifically so that your team is well-versed in crafting effective search queries that will generate the results they’re looking for quickly and easily. A form of administrative metadata, audit trails provide a complete record of precisely when changes were made to an asset, what changes were made, and who made the changes. Of course, this data can be added manually, but automated change logs are a much more efficient and accurate method for maintaining comprehensive audit trails. Why do you even need an audit trail? First, it can be useful when you need to clarify why something was changed with the team member who made the changes – but you can’t do that if you don’t know who made the changes or when. This data is also helpful for quickly determining when an asset was last updated. If you’re looking for branded assets that reflect an updated company logo, for example, assets that have last edited dates prior to those changes can quickly be identified as outdated. Audit trails can also allow for the creation of custom reports, with valuable insights such as which assets have been utilized most or assets that have not been used for a defined time period, such as six months. This information can be helpful for planning your future asset creation strategy and determining which assets should be created or updated. When adopting a digital asset management solution, a clearly defined workflow is imperative. Workflows are used to automate processes such as allowing certain user groups access to certain types or categorizes of assets, streamlining the asset approval process, and ensuring that users are unable to access or utilize assets that haven’t yet been approved. It’s well worth your time and effort to plan out specific workflows for each process that occurs within the DAM system. Workflows may be linear or have a loop structure, but they should be triggered by specific events, most of which will happen outside the system itself – such as needing to procure a custom image for a blog post. For each of these potential trigger events, a consistent process should be initiated with specific, defined steps to the end goal. Some of these steps may be automated, while others will necessarily be manual. By providing your team with comprehensive guides that outline workflows for all processes, you’ll streamline the process of identifying the need for assets, utilizing appropriate available assets, or initiating the process of procuring and approving a new asset within the system. What’s more, following defined, established workflows allows for even more detailed audit trails from start to finish, giving you unprecedented visibility into your company’s digital assets. Proper workflow management not only ensures that your DAM system will be used appropriately, but it also speeds up processes by eliminating guesswork. Finally, clear, established, and documented workflows also aid adoption, making users more likely to utilize your DAM solution as they have comprehensive guidance on precisely how the system should be used and when. Investing in a DAM solution is a smart move for companies of all sizes, and the benefits are immeasurable. Taking full advantage of all the benefits a DAM offers, however, means taking the time to lay the foundation with a clearly defined taxonomy, metadata practices, and established, documented workflows. Putting these building blocks in place will boost not only the power of your DAM, but also your ROI. Angela Stringfellow is a freelance writer based in central PA. She writes about tech trends, reviews, and all things digital for Watchdog Reviews.